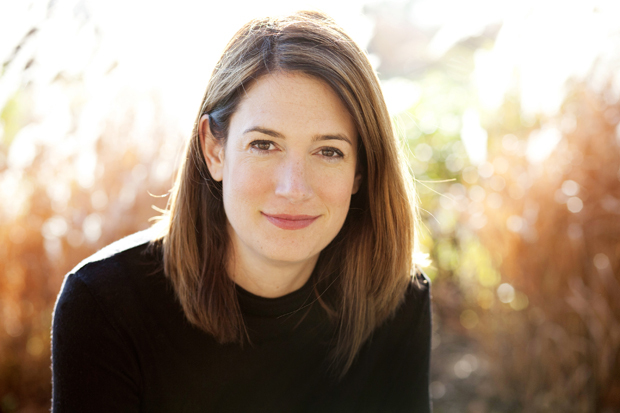 Today I chat with Gillian Flynn, the author of the crime novel sensation Gone Girl. It&apos;s a creepy, delightful read (or in my case, listen), wherein a woman goes missing and we hear her point of view about the case in addition to her husband’s, who happens to be the prime suspect in the case. A Chicago resident, Flynn is also the author of Sharp Objects and Dark Places and is a former TV critic for Entertainment Weekly. You can learn much more about her here. What’s the first book you ever read that truly scared you? I remember as a kid I was obsessed over Agatha Christie&apos;s And Then There Were None, about a group of people on an island being slowly killed off. The waft of madness in the air and the ever-ratcheting tension! I loved it. Well, she makes a good point, actually. Haven&apos;t we all asked ourselves that very question? That "Invisible Touch" mistake was actually my very own — I loaned it to Amy. In fact, one of my best friends from high-school read GONE GIRL and emailed me after for just that reason. But I grew up in the &apos;80s — no lyrics made sense. I mean, seriously, look up "Pour Some Sugar on Me." Amy’s parents write a series of books loosely based on her called Amazing Amy and Amazing Amy Grows Up. What fictional children’s future adulthoods have you found yourself pondering? Oh that&apos;s easy: Alice from Alice in Wonderland. Such a clever, curious, amused and generally unruffled girl! Like Amazing Amy, Alice was based on a real child (Alice Liddell), but I mean the Wonderland Alice — I&apos;d have loved to have met her in college. I do much more organizing when I rewrite — that&apos;s when I really start nailing things down and do the real work on the plot. But early on, I just like to see where the characters take me. It sounds very author-y, but it works for me. How often is the first-draft ending of your books the ending the readers see in the published version? What books of yours had the most different-from-the-published-version original endings? I never know how a book is going to end when I start writing. Sharp Objects differed the most: The person who is revealed as the murderer in the published novel wasn&apos;t even in the first draft! I had a different killer in mind, and it just felt wrong. What have been some of your favorite true-crime reads of late? I loved Richard Lloyd Parry&apos;s People Who Eat Darkness — it truly captured the personalities of the people involved in a shocking, sad case; it was stunningly researched; it really unsettled me. Like, bad dreams and obsessive Internet research unsettling. Plus he was very humane in how he handled the story — you never, ever got the feeling he&apos;d forgotten there were real people and real lives involved. And I always have to recommend Bella Stumbo&apos;s brilliant Until the Twelfth of Never. Your father was a film professor: Have there been any classics that he felt you ought to enjoy that you just couldn’t get into? My dad loves David Lynch. I love David Lynch, but my dad really loves David Lynch, and so he took me to The Elephant Man when I was nine. It was scarring; I left part way through in tears because people were so awful to him and have yet to take it on again. How do you watch TV differently now that you’re not reviewing it? In ways both good and bad. I can watch it purely for enjoyment, which is lovely (I like not having a pen and paper next to me at all times). But that means I&apos;m not as invested in making my case for or against a show, and that can take some of the fun away. I like the challenge of being forced to articulate exactly why you love, hate or "meh" a series. How does it feel to be the 323rd person interviewed for Zulkey.com/WBEZ? I am honored; 323 is my lucky number.